Courtesy of Fonville Morisey/Durham Sales Office, Julian Jahoo. 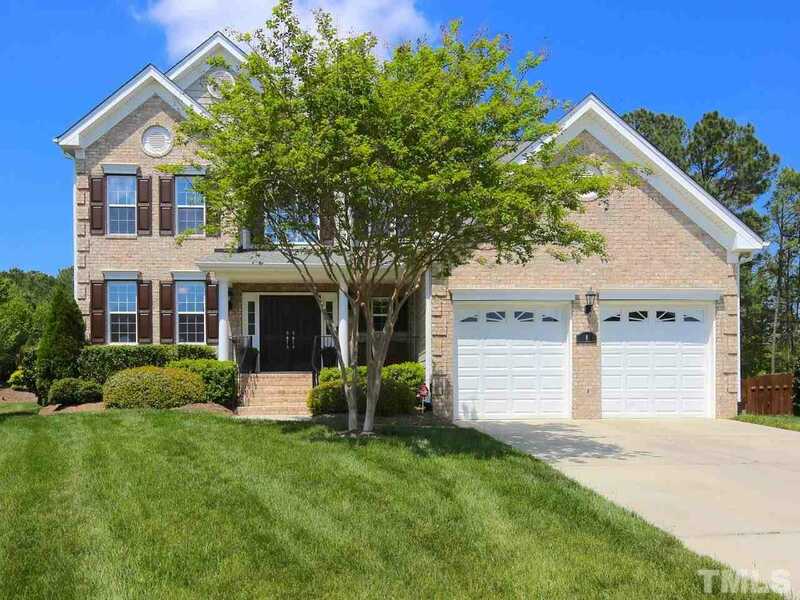 Gorgeous 4 bed, 2.5 bath with tons of potential ,Large kitchen with island , Granite counters , Gas cooktop , Hardwood floors , Amazing master bedroom suite w/ 2 walk-in closets , 2 car garage, * Screened porch * Premium .38-acre, level, cul-de-sac lot * Full daylight basement (perfect for exercise and storage; plumbed for 4th bathroom). The Hills of Southpoint offers a community pool, clubhouse, tennis, playground and neighborhood access to the American Tobacco Trail. Directions: Exit Interstate I-40 onto Fayetteville Road going south towards the mall; pass the mall about 1 mile LEFT onto South Heritage, entrance to The Hills at Southpoint; LEFT onto South Bend; LEFT onto Eastcrest, home@end of the cul-de-sac.